Me trying not to bounce off the walls of my classroom. 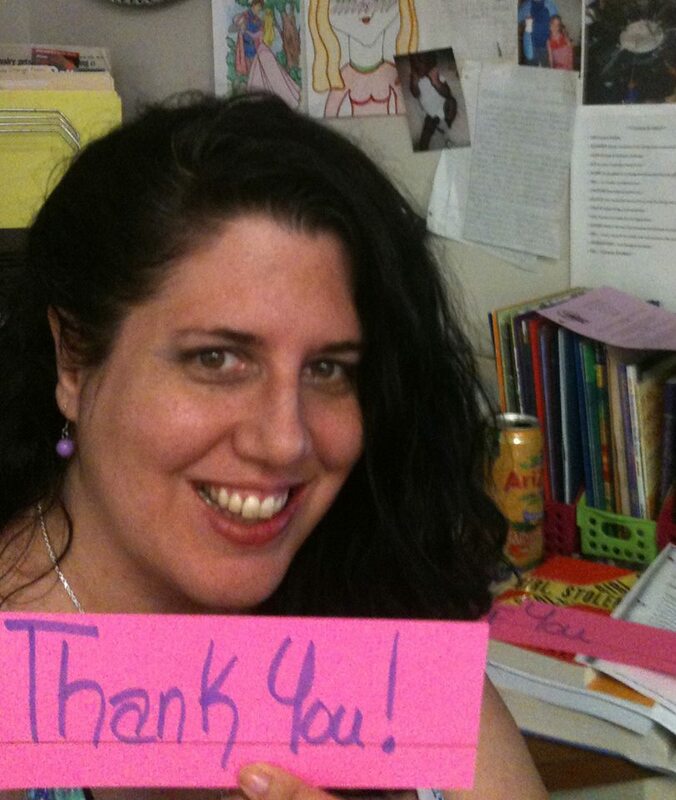 This is a page to thank my awesomely wonderful backers from the Kickstarter campaign. Blood Child has safely in the hands of her editors in the far off land of book making. These fine folks are the people who helped make my dreams come true.